please think about coming in for this devotion and then attending Mass with us. 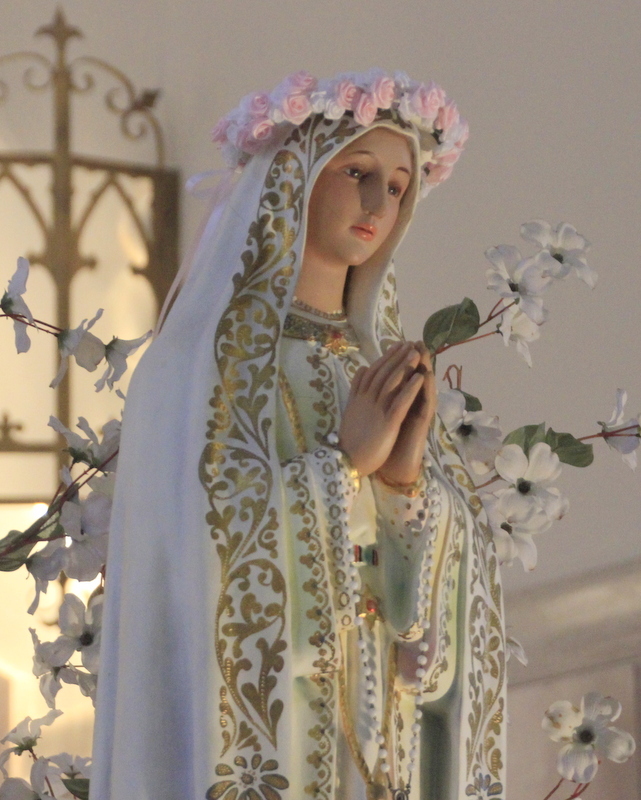 May crowning will take place on May 6 at the 10:30 Mass. Fr Mike will be our celebrant. The weekly series on Catholicism: the beliefs and practices of the Catholic Church from locations around the Holy Land, continues through Saturday, June 9 at 2 p.m. in the Parish Center. Experience the beauty, goodness and truth of the Catholic faith so that you can apply it to your life and share it with others. Bishop Robert Barron, founder of Word on Fire Catholic Ministries, is Program Host, and parishioner Brenda Myc, a member of our Faith Formation team, is our leader. There is no charge for attending the program; weekly attendance is encouraged but not mandatory. Feel free to come as your time permits, and you are welcome to invite a family member or friend. Refreshments are available. The program ends in time to attend 4 o’clock Mass. Our Polka Mass features Rare Vintage at 10:30 Mass followed by BW’s delicious chicken BBQ. $10 advance purchase for chicken or $12 at door, and this includes our own homemade sides, beverage and dessert. Also serving grilled ‘burgers and hot dogs…eat in or take out. We will have many nice prizes in our large basket raffle, and back again this year is our grocery bag raffle: for a buck enter to win a bag full of groceries! We are in need of donations for our theme tray raffle, and would also be grateful to receive donations of gift cards in any amount. Our annual Summerfest Raffle drawing will take place at 4 p.m. Raffle tickets for this drawing are $10 and can be purchased in advance by phoning the rectory office (M-F 9-noon) or on the day of the raffle. The proceeds from this event are essential to the well being of Saint John Kanty Parish Community: to pay insurance, utility bills and for maintenance of our parish buildings, so if you can take your chances and purchase a ticket, it would be very much appreciated.